The risk discipline is young and there are a number of ideas, perspectives and conceptions of risk out there. A number of such common conceptions of risk are examined in the book, related to the risk concept, risk assessments, uncertainty analyses, risk perception, the precautionary principle, risk management and decision making under uncertainty. 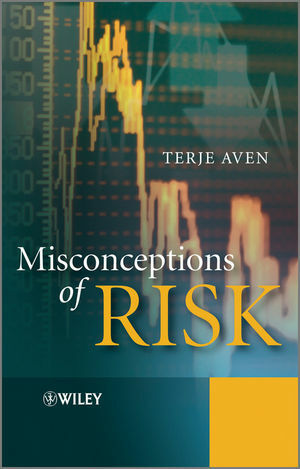 The Author discusses these concepts, their strengths and weaknesses, and concludes that they are often better judged as misconceptions of risk than conceptions of risk. Terje Aven, University of Stavanger, Norway. ?Terje Aven is Professor of risk management and the Principal Researcher at the International Research Institute of Stavanger (IRIS). He's worked both in industry (5 years) and academia (20 years). In that time he has participated in, and led, many safety and risk related projects, and has won several awards for both research and teaching. He has published numerous papers in international journals and has authored several books. 1 Risk is Equal to the Expected Value. 2 Risk is a Probability or Probability Distribution. 3 Risk Equals a Probability Distribution Quantile (Value-at-Risk). 5 Risk is Equal to an Event. 6 Risk Equals Expected Disutility. 7 Risk is Restricted to the Case of Objective Probabilities. 8 Risk is the Same as Risk Perception. 9 Risk Relates to Negative Consequences Only. 10 Risk is Determined by the Historical Data. 11 Risk Assessments Produce an Objective Risk Picture. 12 There are Large Inherent Uncertainties in Risk Analyses. 13 Model Uncertainty Should be Quantified. 14 It is Meaningful and Useful to Distinguish between Stochastic and Epistemic Uncertainties. 15 Bayesian Analysis is Based on the Use of Probability Models and Bayesian Updating. 16 Sensitivity Analysis is a Type of Uncertainty Analysis. 17 The Main Objective of Risk Management is Risk Reduction. 18 Decision-Making Under Uncertainty Should be Based on Science (Analysis). 19 The Precautionary Principle and Risk Management Cannot be Meaningfully Integrated.